When Kevin Plank, founder and CEO of Under Armour, purchased Sagamore Farm in 2007, it may have seemed to some like a metaphor for horse racing. The former home of Alfred G. Vanderbilt's Thoroughbreds, Sagamore had once been home to Discovery, Native Dancer, Bed o'Roses, and others. In 2007, the facility was in disrepair. 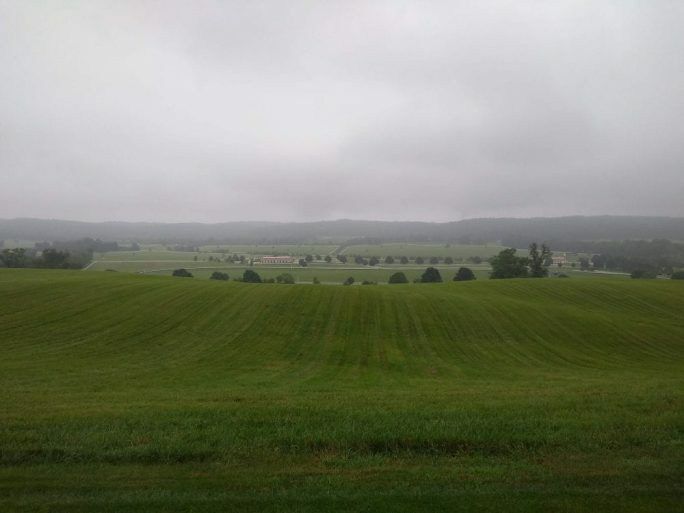 Vanderbilt had sold the property to developer James Ward in the late 1980s and after trying briefly to establish a commercial breeding facility, Ward became overwhelmed by costs and padlocked the farm. The walls and trademark red roofs of the barns were caving in. Formerly bright white fence lines had been moved, added, and removed, paint peeling for decades. Weeds and stones covered the track. Plank had driven past Sagamore for years before purchasing the property and saw something other than a run-down farm — he saw potential. Plank had long held aspirations of buying it and restoring it to a modern version of its former glory. A little over a decade into his vision, Sagamore stands as a tribute to its history with one eye firmly on the future. Sagamore Farm was established in the mid-1920s by Isaac Emerson, inventor of Bromo-Seltzer and given to his daughter Margaret, who kept a modest string of racehorses there. It was her son, Alfred G. Vanderbilt Jr., who held the real passion for Thoroughbreds however, and Emerson turned the property over to Vanderbilt on his 21st birthday. In its heyday, the 530 acres in the Worthington Valley was a hopping place, with breeding stock and a sizable racing string. 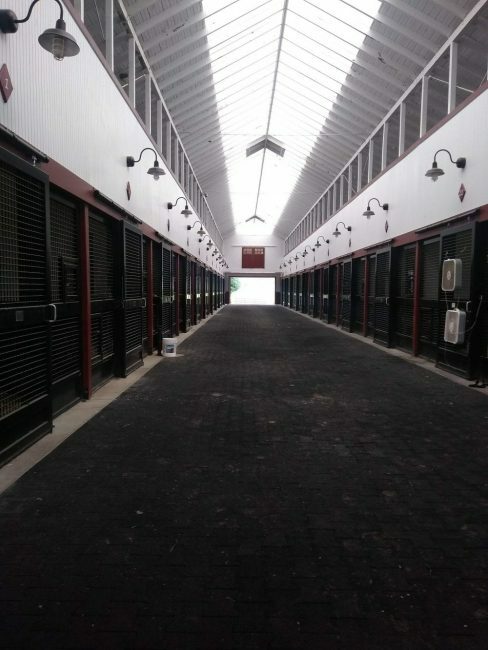 In addition to stallion, broodmare, and yearling barns, the property featured an oval-shaped, 90-stall training barn encircled by an indoor track. Many a sportswriter waxed poetic about the sight of Vanderbilt's dozens of runners, tucked into long rows of stalls or cooling out in their trademark cerise and white sheets after a gallop on the seven furlong training track. Vanderbilt hit off his career as an owner early with Discovery, champion handicap horse he purchased from Adolphe Pons when the colt was a 3-year-old. Two decades later, 'The Gray Ghost' Native Dancer captured American imaginations as one of the first racing stars during the age of television, winning 21 of 22 career starts in three seasons. Native Dancer was so popular in his time he (and his favorite groom, Joe Hall) received fan letters and entertained the public for tours several days a week. For Plank, part of Sagamore's appeal was its history of greatness. When he set his staff to restorations, he combined the original feel of the place with a few modern touches. The first order of business was to pull up all the fencing and redraw paddock lines. Then, he started on the buildings. 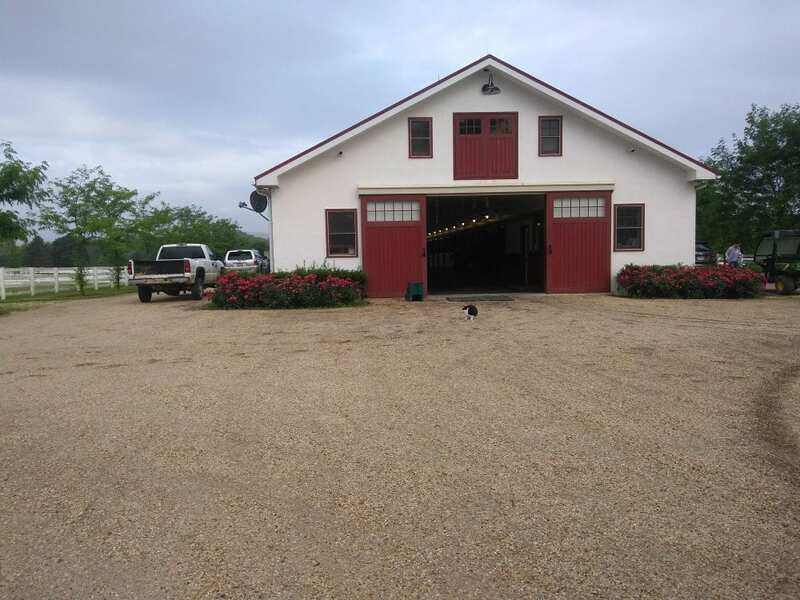 The broodmare barn was gutted and rebuilt, with airy open stall fronts (complete with a separate door which allows water buckets to swing out for easy refilling), but the cupolas atop the barn are the refurbished originals. The training track still exists on its original footprint, but Plank had the surface and training pulled up and rebuilt with Tapeta synthetic. Plank had several truckloads of material, old Under Armour clothing and even bits of its first test batch of shoes, shipped in to be mixed with the Tapeta material. He also replaced the old clocker's stand with an elevated office space along the track's finish line, allowing him to observe training or hold meetings with Under Armour's sponsored athletes in front of a picturesque backdrop. At least one of Plank's racehorses is named in tribute to Sagamore history, too. Plank chooses horses' names himself, and although they often relate to sponsored athletes or his business philosophy, one 3-year-old Pioneerof the Nile filly is named Miss Jackie G for a special person in the farm's history. Miss Jackie G is based with Sagamore trainer Horacio DePaz at Pimlico, where she has started twice in maiden special weight contests. Sagamore employees found this old tack trunk, painted in Alfred Vanderbilt's cerise and white colors, in the training barn. It now sits next to Native Dancer's old stall. The stallion barn where Native Dancer greeted visitors still stands, just inside the farm's entry gates. Lewis still uses it as a rallying point for the many tour and school groups that visit the farm. Native Dancer's stall sits bedded with straw as if the big horse was just out in the paddock. 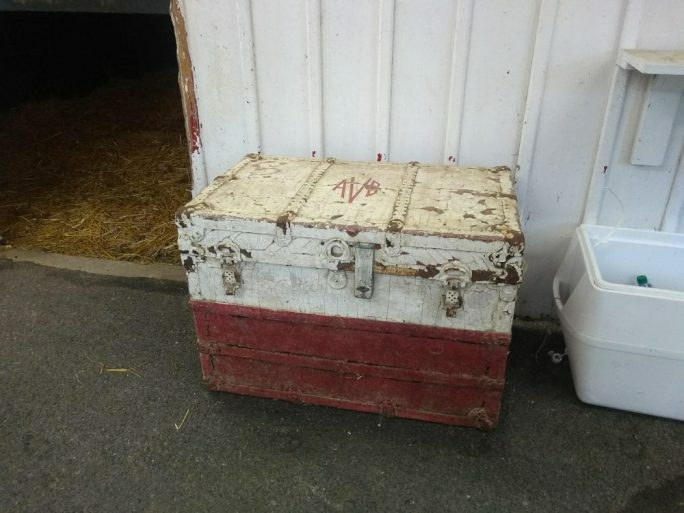 A battered trunk painted cerise and white sits by the stall door with the initials 'AGV' on its top – a find from the rafters of the training barn, Lewis says. A grooming box and feed tub also sport the trademark white with reddish diamonds which Vanderbilt made famous. The aisle looks ready for Native Dancer's groom Joe Hall to pull up his trademark chair, where he sat from 11 a.m. to 2 p.m. on tour days greeting fans. Lewis often tells tour groups about Hall's favorite part of the tours: commerce. Hall would walk Sagamore's paddocks, scouting for thrown shoes and collected them in a bag, which sat under his chair in the aisle. The indoor track and training barn is the only one of the original barns not in use. For one thing, Sagamore likely wouldn't fill it: the operation has 40 horses in training, but most are based at Pimlico or Churchill Downs, with a handful on the farm at any given time. For another, it needs work. Although Sagamore is a modest operation compared to some Kentucky farms, Plank makes no secret that the Triple Crown is his ultimate goal. He has focused on the breed-to-race model Sagamore was built on and has recently decided to scale back ownership somewhat to focus on quality over quantity. In an interview with Forbes, Plank acknowledged he was taking the scenic route to success by keeping his numbers relatively small. “I know this could take 20 years,” he said in 2012. Still, Sagamore has enjoyed several national headlines since entering the Plank era. In 2010, Sagamore runner Shared Account won the Breeders' Cup Filly and Mare Turf, while runners Monzon and Tiger Walk have gone to the Belmont and Preakness, respectively. Sagamore was also a partner in multiple graded stakes winner Miss Temple City. Last year was the farm's most successful, with 31 winners from 129 starts and earnings of $1.4 million. Tradition suggests there could be more success in store. This entry was posted in NL Article, Ray's Paddock and tagged alfred vanderbilt, horacio paz, Kevin Plank, Maryland racing, maryland racing and breeding, randy lewis, sagamore farm by Natalie Voss. Bookmark the permalink.